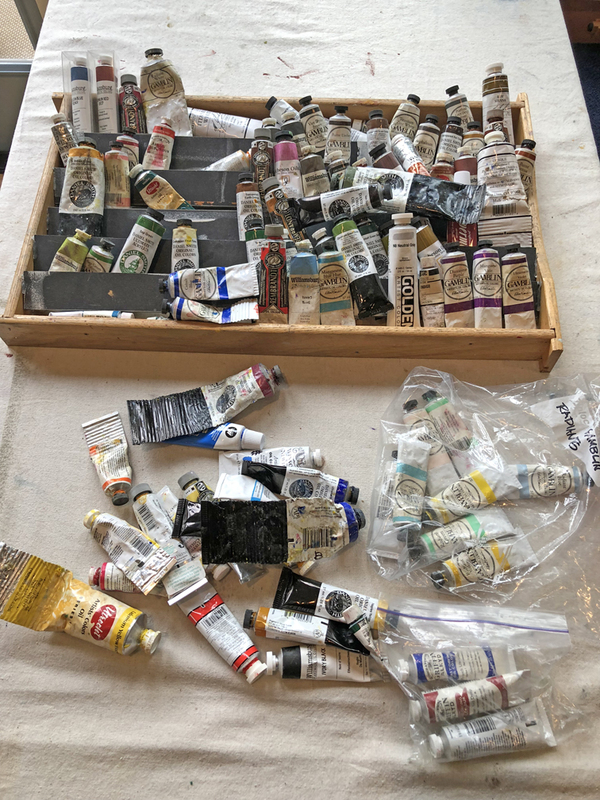 My tubes of oil paint have gotten out of control. I pulled out the color charts I made some time ago and started reorganizing the tubes in their tray. 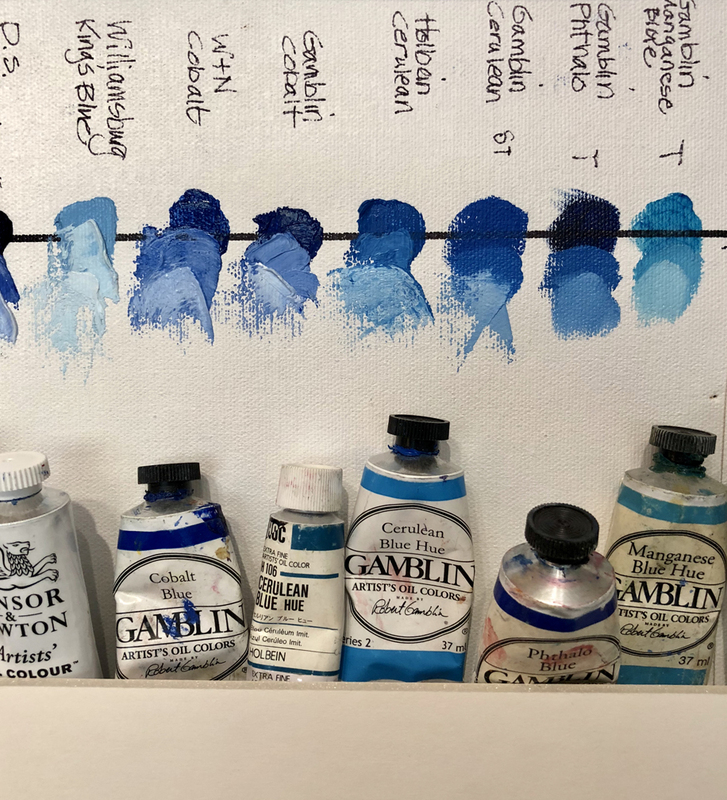 Hmmm...if only I could put each tube of paint with its sample on the chart. 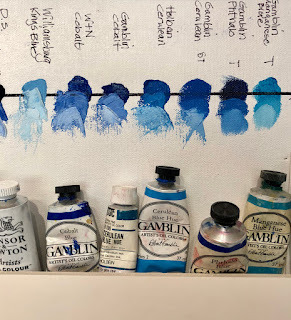 Hmmm...It occurred to me that I would be able to see all the colors with their corresponding chart if I mounted them on the wall beside my oil easel. Voila! With ATG tape and foam core I was able to put them on the wall where all my summer plein air studies had been. Yay!